2018 Tax Changes are now in effect. With proper preparation. Taxpayers should get a refund or pay less. Some of the tax deductions you would normally tax are almost gone. 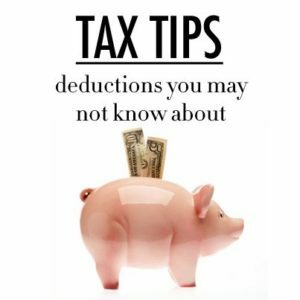 Like job expenses, the costs you’ve paid to your tax preparer, when combined with other miscellaneous deductions were deductible to the extent the total exceeded two percent of your AGI. This deduction is no longer allowed. I am going to go over what you can no longer deduct on your 2018 tax return. Small Business will not be affected by 2018 Tax Changes. If you have a small business or get 1099 income from commission sales, you will not be an effect from 2018 tax changes. The IRS Code states that any expense that needs to run your business is deductible. Itemized Deduction is what effected. Unreimbursed employee business expenses are the area most affected by the changes. You will not be able to use working at home. Our side salespeople might be able to take the tolls and miles on your car. Tolls, cell phone, are other deductions you might not use any more. The IRS increased the amount of the Standard Deduction. This is the amount you can deduct with adding form Schedule A. Taxpayers deducts for charity, interest and work expenses go on this form. Going forward you might not be able to deduct it. 2018 Tax Changes that could affect your refund. Congress bill intent was to save money for the US taxpayer. What they did was to lower the tax percentage. Married Filed Jointly goes from $12000 to $24000. What that means you will not pay tax on the first $24000 of income. Example of 2018 Tax Changes. If a husband and wife make $60,000 a year income. You would subtract $24000 standard deduction from $60,000 and pay tax on $36,000. The tax rate would drop to 12 percent. Now your tax bill to the IRS is only $4320. Old system $7200 is your tax bill. There is now a saving to your pocket is $2880. This is just one example of how the new tax laws could affect you. Getting more details could be as simple as calling a tax professional. Follow us on Facebook and Instagram for daily updates on accounting and money-saving tax tips. Tax Tips Self Employed. Are you a contractor for a company. Most of the time you are based on a commission paid. So if you do not close a deal, you will not get paid. Working for your self is considered self-employed. Realtors, business consultants or any job that is paid based on performance is to think an as a contractor. This blog is going to explain a few Tax Tips that self-employed should use when running your business. In the end, it will save you money when you file your tax return. It also avoids any audit that could happen. These are the tips you need to start using threw out the year. Do not wait until January and begin to scramble to put your finances in order. Here are a few essential tips that’ll make the tax-filing process easier on you. Keep accurate records of your income. 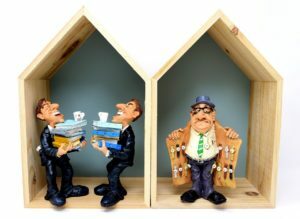 When you are a contractor income could come from different sources. Painters could be an excellent example of this. They need to keep track of all the income from all the completed projects. Do not wait to January and start putting this together. Any profession that is paid when services are executed could be considered a contractor. Tracking income now will avoid you waiting for 1099 that could be issued in January. Doing this now will prevent you having to wait for any 1099s that will be sent to you in January. IRS Rules say that it any income collected. Go out and buy a little book and put any income that you receive. Using a Google Sheets is a straightforward way to keep track of your income if you are a tec person. You will never worry about looking for what you made since it is a cloud-based system. Tax Tips Self Employed Detailed records of your expenses. Keeping track of your expenses is a significant Tax Tips for self-employed. Small business owners and contractors must keep track of your expenses. 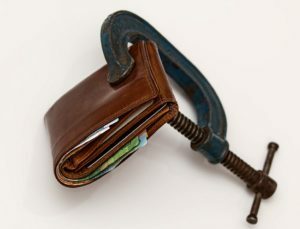 The most critical reason is that you need to know what you are spending and cash flow. Now you will know what your expenses in your business. Knowing your costs will ensure that you will not overspend on a project. Buying 10 cases of paper when you still have six more is an example of this. When keeping records, you see that the extra ten is not needed and will decrease your cash flow. Keeping your records is as comfortable as getting a book and writing down your expenses every day. Using programs like Quickbooks or Google Sheets is the Tax Tips Self Employed to keep better records. Do you feel that you have no time in the day to do bookkeeping? When you have no time to keep track of your finance it is not the time and pay for an accountant. Look for what you can deduct in your business then click here for our other blog posts that will explain it to you. If you have a 9 to 5 job, then your employer will give you a W2 form. 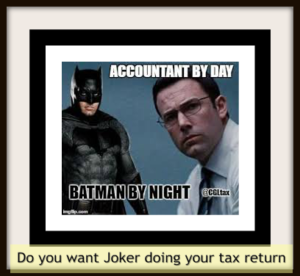 They will take out the taxes for you so you should not get hit when filing your tax return. Self-employed contracts do not have this benefit. Since you work for your self, no money is taken out of your check. It will hurt you when tax time comes. 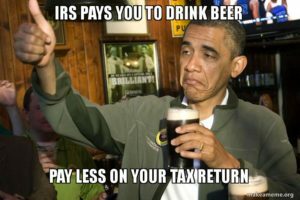 There is a solution to this, so you do not have to pay one big chunk to the IRS. Start making quarterly payment. We are going to explain how much you need to send in 4 times a year. Take what income you deposited or made that quarter. Subtract from your expenses from that period which will give your gross profit. Finale step is to take your gross profit and multiply by 25 percent, and that will give you the number to send it. If you are having issues to complete the estimated payment, then go to an accountant to assist you. This Tax Tips Self Employed is the one that could save you the most money. It will lower how much you will have to pay at the end of the year and avoid any penalty or interest that the IRS could charge you. 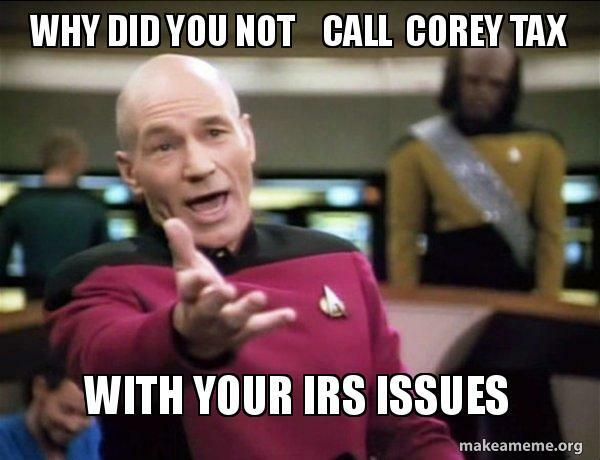 Corey & Associates Accounting is who is publishing this blog. Since 1985 we have assisted clients. Our office asks the questions that. Will make sure you will receive the best accounting service. Free consultation The office is located at 1800 W 68 St Suite 118, Hialeah, Florida 33014. Phone number 305-823-9228 and email is albert@1040w2.com. 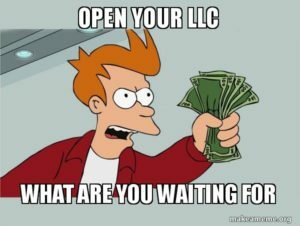 Open LLC.How it could affect your business. LLC is an abbreviation for Limited Liability Company. It is a business structure. Like general partnership, corporation and sole proprietorship. Limited Liability Company has its pros and cons. What is an LLC? We are going to explain the details and on how it will affect your business. Single-member LLC is when you have only one person only the LLC. The one owner owns 100 percent of the company. A person who has an interest in the company. They are defined as a shareholder. A multi-member LLC will give owners maximum protection. When you have two or more shareholders and is called a multi-member Limited Liability Corporation. They do not have to have an equal share in the business. One of the shareholders must become a Managing Director. He does the day to day operations. This position can be appointed. The shareholders can vote on the position and decided who will have that position. LLC operating agreement is formed by the shareholders. It is an agreement on how to run the company. Forming LLC business helps to protect the members against lawsuits is a crucial key. Reduces paperwork significantly and prevents business from getting taxed twice. Establish business credibility is significant in why open it. Sole ownership and a general partnership have no assets or liability protection. LLC gives protection to your asset and is good if issues arise. Shareholders will have no personal liability if a lawsuit should arise. Unlike corporations that get tax twice. LLC formation and managing is simple and not obligated to double taxation. 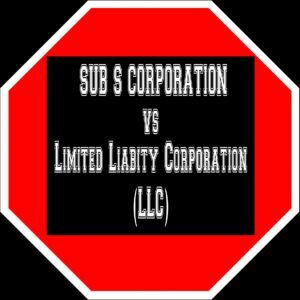 LLC structure can opt for S-Corp tax status because maintain is secure than standard C-Corp.
LLC owners are not individually accountable for the lawsuits and debts of the business. Fraud and criminal activities are the only exceptions to this rule. Formation of LLC is relatively easy with less paperwork. There is no need to assign directors or hold meetings. No forms, minutes and resolution reports like C.
Profits of LLC go directly to owners. They report their dividends directly on their tax returns. In C-Corp their earnings get taxed by the corporation before owners distribute to its shareholders. A second time when the dividends are reported on shareholders personal tax returns. Restrictions are few in ownership and management structure of an LLC. 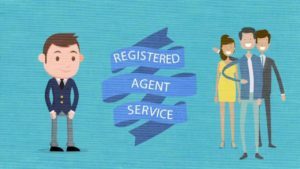 Ownership can be in the form of single member and multi-member. Tax designation can be as S-Corp or C-Corp. Forming an LLC allows you get the secure approval of business loans and variety of credit lines. LLC formation adds credibility to your business and could increase its value. It is famous as a formal business structure. Including LLC with your business name allows investors and consumers know you are serious business. Youtube Channel will give you an over the shoulder view of valuable tips. We have all the major social sites that you can connect to. As a result of my cell phone, you have instant contact with me. Just click this contact link and you can send a direct message to my phone.